LinkedIn is a highly targeted platform that is ideal for B2B advertising. Unlike Facebook where users can claim a variety of titles, LinkedIn profiles tend to be more accurate. The additional layer of linking to a company profile helps B2B marketers distinguish between the CEO who is self-employed and has zero employees and the CEO of a technology company with over 500 employees. This platform is unique in that it has two very different ways to advertise. The first is called “self-service” ads. These consist of three ad types: sponsored content, text ads (which include an image), and Sponsored InMail. As the name implies, these ads can be managed by an individual or a digital marketing agency. 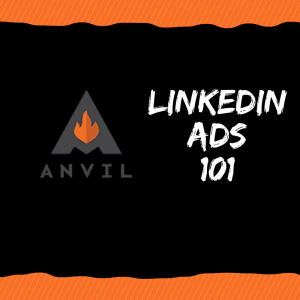 The second advertising avenue on LinkedIn consists of dynamic ads and display ads. These ad types require minimum spends of $10,000 per month and companies must be whitelisted by the LinkedIn sales department. LinkedIn is an excellent platform for B2B advertising. It works best for B2B service providers who have a large budget ($1K+/month) and a highly-targeted audience. Companies should consider expanding in this platform particularly for lead generation when there is little search volume for their core keywords. Did you find this article helpful? If you’re in the Portland, Oregon area, consider attending our Lunch & Learn on February 8, 2017 where we’ll be discussing the eight most popular digital marketing platforms and which ones are right for your marketing needs. Not located in Portland? We’ll be living streaming the event on Facebook and offer a recap in upcoming blog posts. Always feel free to reach out to us if you have any questions as well!